Reserve your book on Waterstones.com, collect it from your local Waterstones and pay the online price. You will receive a confirmation message that the shop has received your order so please do not travel to the shop until they have sent you this confirmation. Find your book and select 'Click & Collect'. Please note, it is only possible to Click & Collect one item at a time. Enter your postcode or town/city name to search for the nearest shop. We'll show you up to 10 shops from which your chosen item is available within two hours or two working days, subject to availability. Select your preferred bookshop. Complete the form with your details and your preferred method of contact and submit your reservation. Please note: If you wish to request more than one Click & Collect your information will be retained. 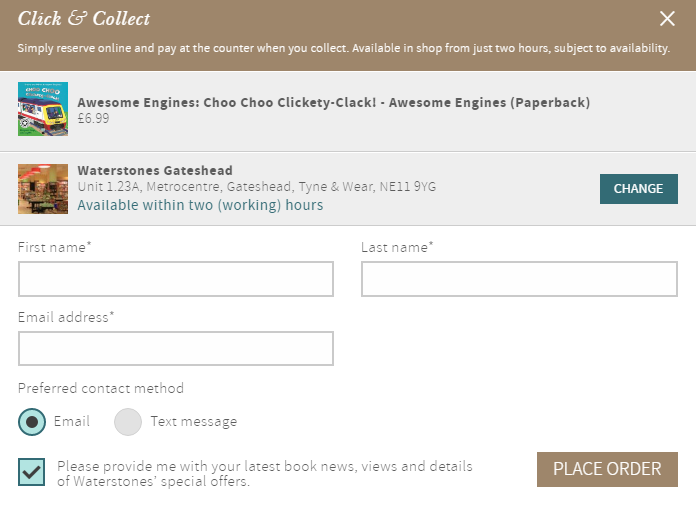 Now that your reservation is placed, the bookshop will contact you when your book is ready. Please do not travel to the shop until they have confirmed that they have your book. 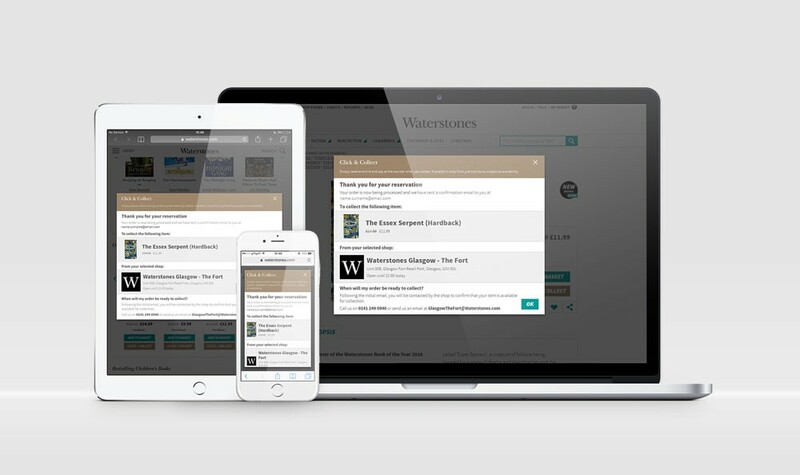 Now you can choose your local bookshop as your 'Preferred Shop' for Click & Collect, making it easier than ever to reserve a book for collection. Sign in to your Waterstones.com account and find the 'My Profile' area within 'My account'. Using the 'Preferred Shop' field, select the shop you would like to use as your default Click & Collect option. What Should I Bring When I Collect My Click & Collect Item? Please bring your Click & Collect Order Number with you, either on a printed copy of your confirmation email or on your smartphone. How Do I Pay For My Click & Collect Item? You pay for your reserved item in the Waterstones bookshop when you collect it. The price paid is the price advertised online when the Click & Collect reservation was made. What Happens If the Price is Cheaper in the Waterstones Shop I Am Collecting From? You will always pay the lower price. More often this will be the one on Waterstones.com, but if the shop you are collecting from has the item at a lower price, then that is what you will pay. Can I Use Online Voucher Codes When Paying For a Click & Collect Item? No - to take advantage of any online voucher codes, items must be ordered and paid for on Waterstones.com. Do I earn Plus Stamps on Click & Collect Purchases? Yes. Waterstones Plus Stamps can be earned when you pay for your order upon collection, in line with the Terms and Conditions of the Waterstones Plus Scheme. Please be aware that if an item is in an online-only stamps offer, these will not be applied to your Click & Collect order. 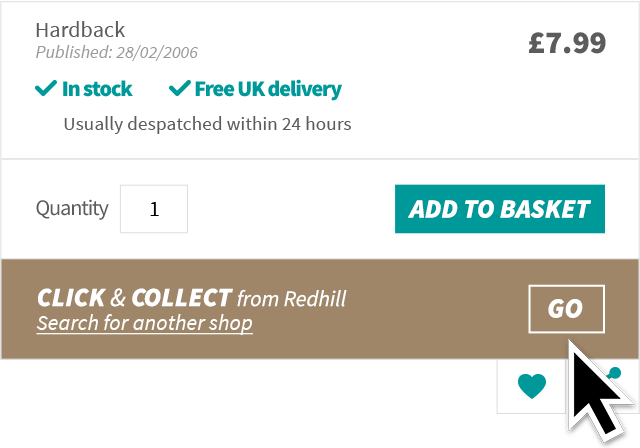 Can I Reserve More Than One Copy of a Book Using Click & Collect? If you would like more than one copy of a book, you will need to place a reservation for every copy required. Due to the limited nature of stock in our shops, if you need more than a couple of copies of any one item, we recommend you add the required quantity to your basket and place an order through our checkout. 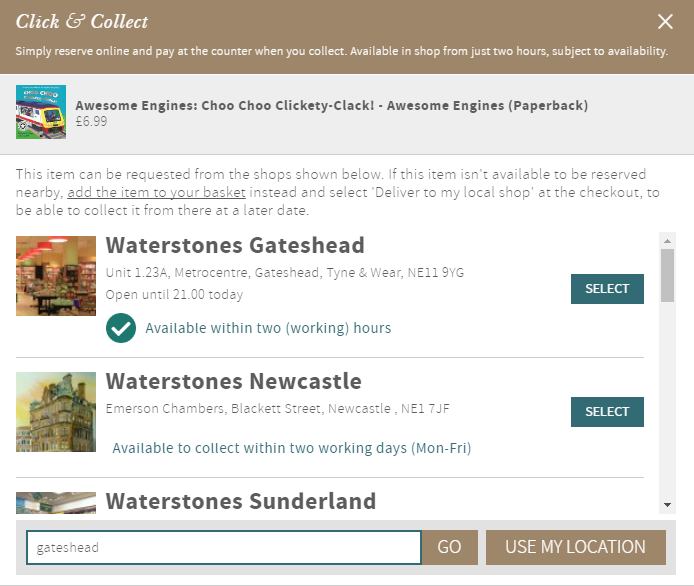 Is Click & Collect Available in All Waterstones Bookshops? Click & Collect is available in UK stores, including campus branches. Unfortunately it is not currently available in our European shops, though we hope to extend it at a later date. If you would like to check availability of an item in one of our shops in Ireland, Amsterdam or Brussels, please feel free to contact them directly and our booksellers will be happy to help. You can find the contact details on our Shop Finder page.